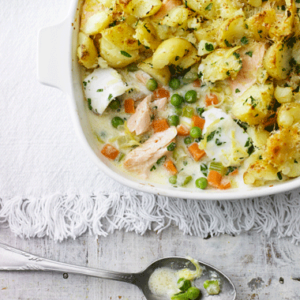 A shortcut on the traditional fish pie, which can take an hour or more to cook in the oven, this recipe simply requires cooking the individual components, then popping the dish under the grill for a few minutes. These scrumptious little cakes can be enjoyed a multitude of ways. 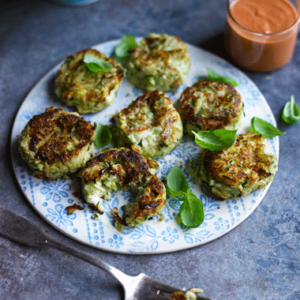 As well as being the focal point of a lovely dinner, they also make a delectable sandwich filling (see upcycle). 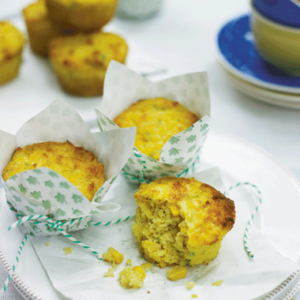 Savory muffins are a great way to start the day – I think of them as being halfway between toast and sweet muffins. These are particularly mouthwatering spread with cream cheese. My husband is Scottish, and so naturally cranachan is a favourite in our house. 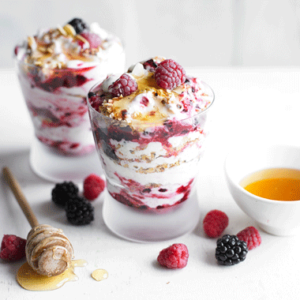 While traditionally cranachan is made with whisky, I created this lighter alcohol-free version, with extra nuts and fruit, which is perfect for breakfast.